Rated M. Starring Hugh Jackman, Tao Okamoto. Just when you thought you could take a breath from the recent influx of superhero films, another adamantium-filled Wolverine film has been injected into our movie screens. The Wolverine is the story of its namesake, otherwise known as Logan, as he deals with life after the events of X-Men: The Last Stand (2006). I can’t work out how the production order of the films compares with the chronology of the X-Men series – it’s almost as though Marvel execs have strapped a dozen scripts to a wall and thrown darts at them to determine the production order. You see, the last Wolverine film was X-Men Origins: Wolverine (2009). It was panned by critics, and if you’re wondering why I’ll give you two words: boxing ring. But that was an origins story, and this film is not a sequel to that, but actually a completely separate story. The action begins with Logan (Jackman) somewhere in a forest, spending time resembling a caveman and befriending poorly-animated grizzly bears. He is deeply troubled, tormented by recurring nightmares featuring his former lover Jean Gray (Famke Janssen), who, for the greater good, he killed in X-Men: The Last Stand. Our Wolverine is stuck in a rut – living with no hope but practically immortal due to his healing powers. Soon we’re transported to Japan, where Logan has a haircut and beard trim, and loses his healing powers. Finally Logan has what he wanted – he is mortal again – but still troubled by the past. It’s stated in the film that Logan is a ronin, a samurai without a master, and that with his powers he is ‘destined to live forever with no reason to live’. This got me thinking about the way that we as Christians will spend eternity. Logan fears it because he’s stuck on earth with nothing to live for; yet for us who trust in Jesus, we will delight in crowding around the throne praising the One who has saved us. And we can be certain of this because we have a living hope. Jesus is our living hope. He has gone into heaven and we are guaranteed eternal life just by trusting in him. Logan faces life stuck on this earth with no hope, but Jesus gives us real hope, purpose, and life. You see, you go to an X-Men film to see the ensemble cast, and the mutant powers in action. But neither of these are features of this film. 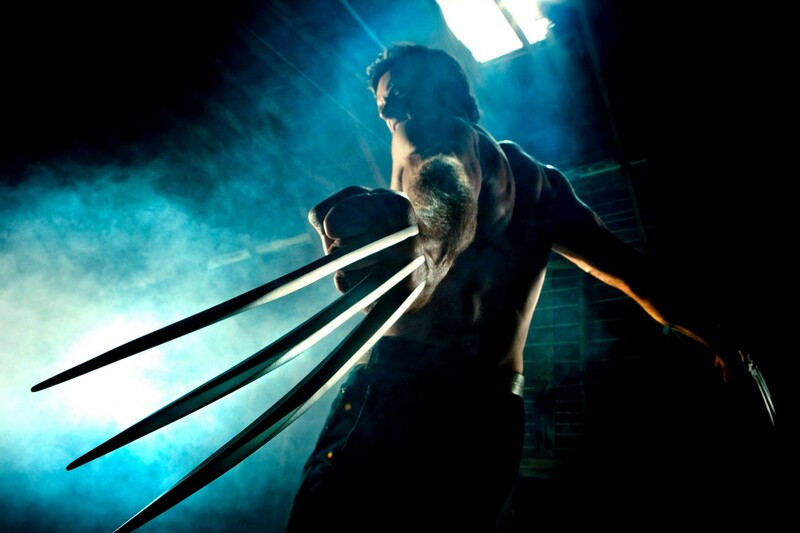 This is a film centred on Wolverine, though even he doesn’t get a real go with his powers. I guess we can all look forward to 2014’s X-Men: Days of Future Past – chosen by darts with brilliant accuracy. I’m giving The Wolverine 3 out of 5 stars. Posted in 2013, Film ReviewsTagged christian, film review, Hugh Jackman, Jean Grey, Jesus, Logan, review, The Wolverine, Wolverine, X-Men, X-Men Origins: WolverineBookmark the permalink.